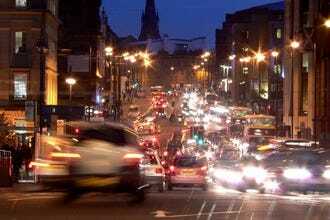 Edinburgh is a city of contrasts, steeped in history, yet vibrant and modern. The medieval and gothic charms of the Old Town contrast beautifully with the classical grace of the Georgian New Town and the chic, modern developments in the revitalized dockland of Leith. It is the perfect backdrop for some deliciously quirky and unique boutique hotels. 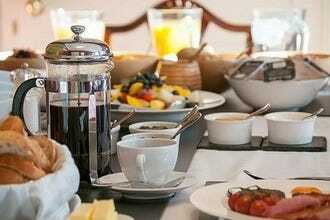 The phenomena of the boutique hotel developed in the US and UK as a reaction against bland and uninspiring chain hotel. The boutique hotel often has a smaller number of rooms or suites, but each is decorated according to an individual theme and strives for a personal and aspirational ambiance. Design is generally flamboyant and there will be numerous little details to set the establishment apart from its competitors. Le Monde, in the heart of the city, features a collection of rooms inspired by some of the most stylish and iconic cities in the world. 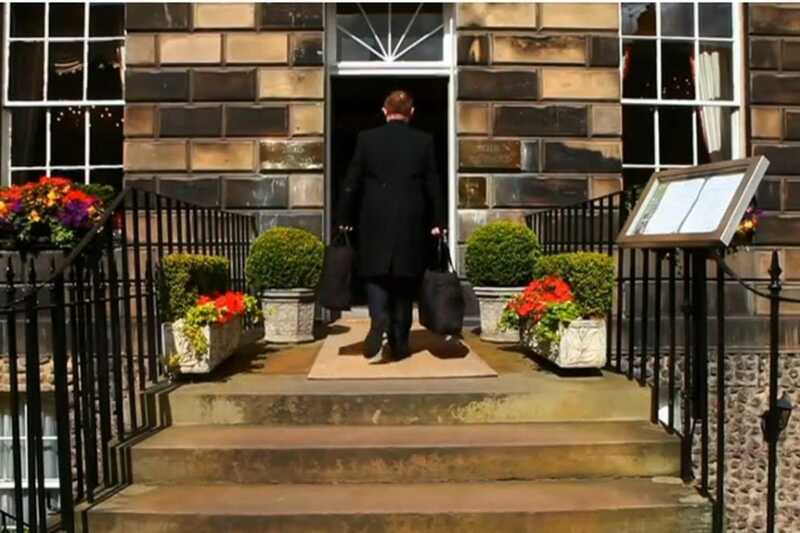 Recently voted the best boutique hotel in Edinburgh it also features a great restaurant and its own nightclub. Stylish and refined, The Howard, typifies the understated elegance of the New Town with immaculately appointed rooms and a butler service which is second to none. 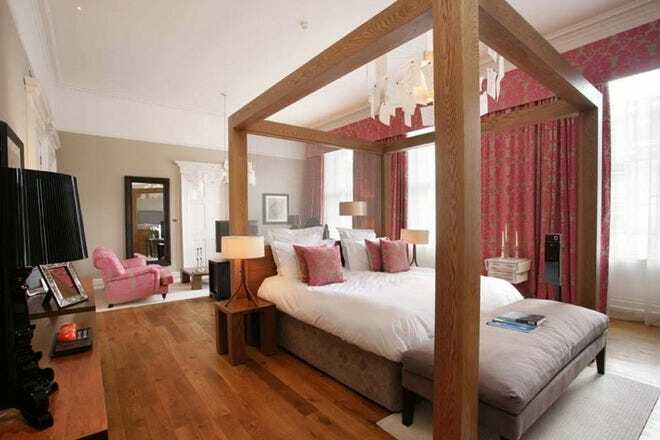 Its eighteen luxury suites and rooms are named after Edinburgh streets and high tea in their fabulous dining room is a treat too good to miss. 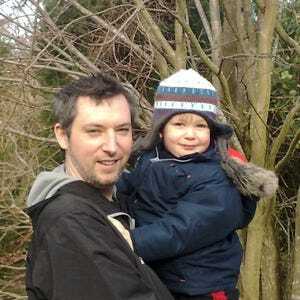 With such riches on offer why subject yourself to the mundane and commonplace? Let us introduce you to the singular delights of Edinburgh’s top ten boutique hotels. 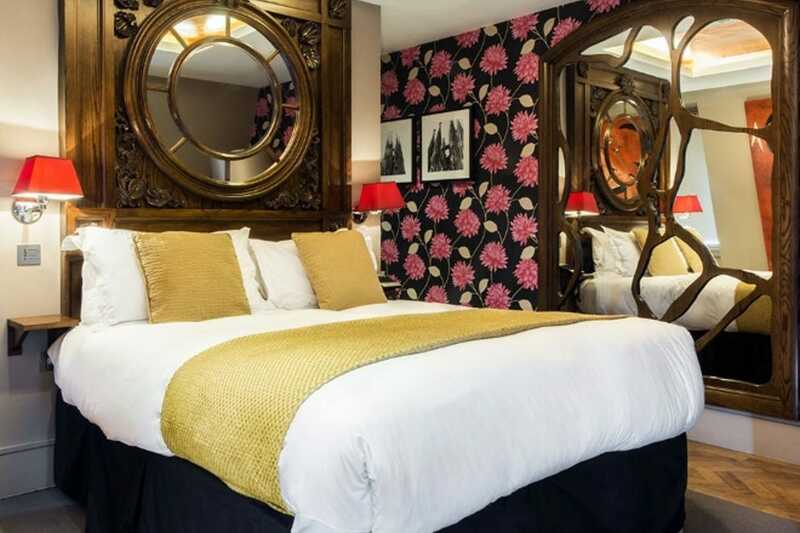 Hotel Indigo is a boutique hotel located in the New Town of Edinburgh which was runner up in the 2015 Hotel Awards in the category of Brand Hotel of the year. Occupying a charming Georgian Terraced house, and boasting sixty individually styled rooms and suites, Hotel Indigo effortlessly blends traditional architecture with modern convenience. Rooms are not large, but are tastefully decorated and come with a host of little extras to make your stay a comfortable one, such as the complimentary snack bar and soft drink mini bar. The hotel also has its own fitness suite and an excellent bar and restaurant which also serves a delicious afternoon tea. 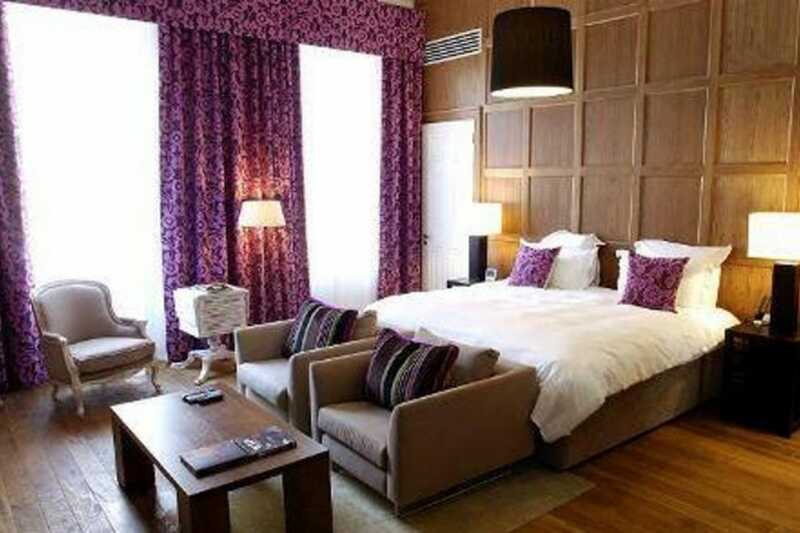 The Glasshouse is a stylish and unusual boutique hotel located at the top of Leith Walk in the heart of Edinburgh. Behind the beautiful stone façade of the Lady Glenorchy church lies a sleek modern building with huge glass walls. Splashes of color are provided by the modern art which adorns the interior. The hotel has sixty six rooms and suites, each decorated and furnished to a high standard and offering breathtaking views of the city center or their private roof terrace garden. The garden itself is a wonderful oasis of calm punctuated by modern sculptures and festooned with aromatic lavender. 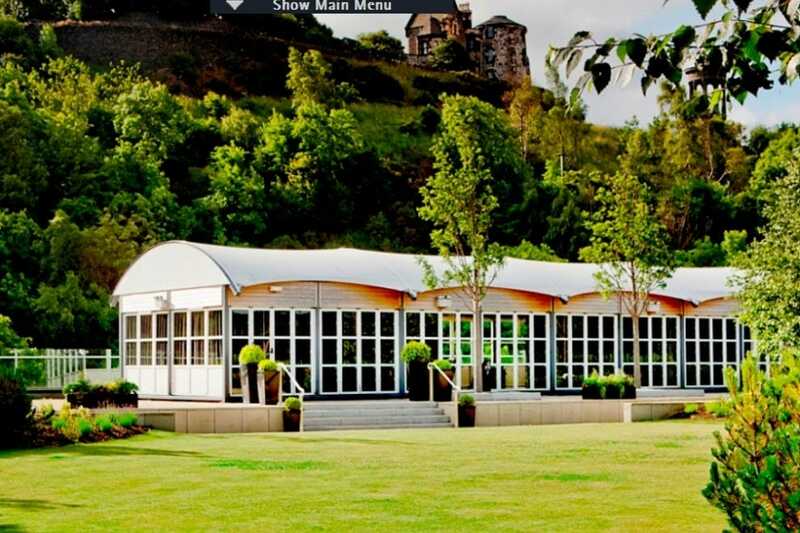 There is no hotel restaurant, but they have twenty-four hour room service, a small lounge area and breakfasts are served in the Observatory where you can enjoy stunning views of Calton Hill. 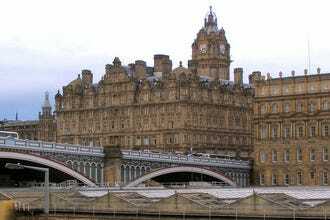 Originally newspaper baronial offices, the Scotsman is now considered one of the more stylish hotels in Edinburgh. Food is served at the North Bridge Brasserie or guests can dine on several specialty dishes and sip on exotic wine at the Vermilion Restaurant. 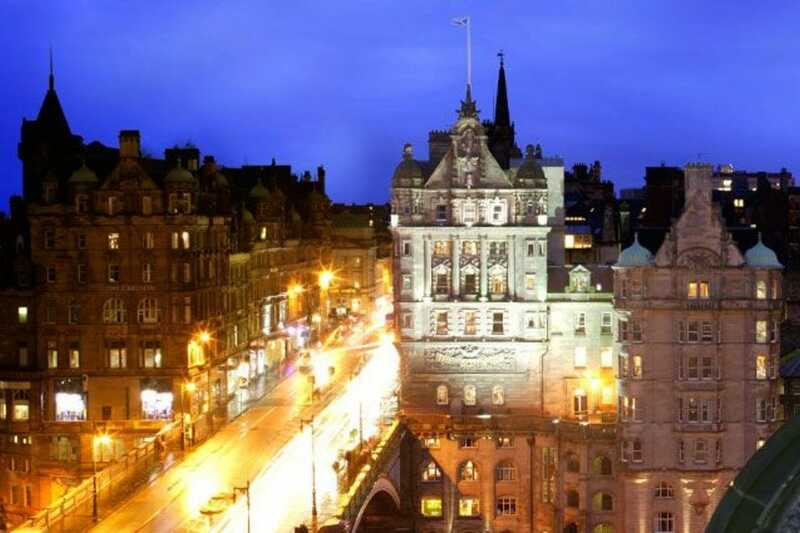 The Scotsman is conveniently located near Waverley Railway Station and it is just off the Royal Mile. The hotel is relaxing and luxurious with 56 rooms and 13 suites all beautifully refurbished, with different sizes, designs, and shapes, giving guests the experience of a lifetime. Amenities include in-room DVD/CD player, wide screen television, high-speed Internet, wine bars, and more. Hotel Missoni is a chic and stylish boutique hotel run by Rosita Missoni of the famous Italian fashion house. It is perhaps then no surprise that it is unconventional and exuberant with bold geometric designs, a feature of the Missoni brand. The rooms are furnished to a high standard and decorated in an ultra-modern style which never compromises on comfort. The hotel bar contrasts turquoise and lilac furnishings with sheer white walls and massive silver light shades to great effect. The restaurant, Cucina, combines bold design with excellent Italian cuisine and has twice won the accolade of Scottish Italian Restaurant of the Year. The Howard is a study in understated elegance and luxury. The hotel occupies three beautiful Georgian town houses situated close to the center of town. 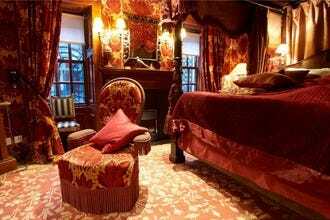 The accommodation comprises of eighteen luxury rooms and suites, each uniquely decorated with a sumptuous collection of rich fabrics, oil paintings and ornate furniture. Well-appointed bathrooms are stocked with luxurious Penhaligon products, and the hotel operates a full butler service to really spoil guests. Rather than a tired tray of unappetizing instant coffee and teas and an uninspiring mini bar, guests simply need summon their butler who will provide hot and cold beverages and delicacies of the highest quality. The restaurant is intimate and exclusive but guests can also choose to be waited on in their own suite for a wonderfully romantic three course repast. There is also a delightfully cozy drawing room where guests can enjoy pre-dinner drinks or a nightcap. 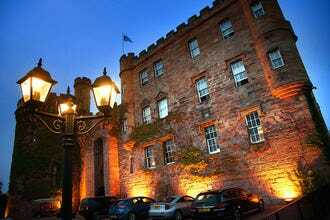 Located in an historic sixteenth-century building at the gates of Edinburgh Castle, James Thomson's Witchery is the most atmospheric and spectacular dining destination in the city. A unique location,stunning interiors and superlative food, wine and service create memorable and magical dining experiences for locals, visitors and celebrities alike. Ewan MacGregor, Michael Douglas, Catherine Zeta Jones, Jack Nicholson and Clarissa Dickson Wright have all succumbed to its charms, with Andrew Lloyd Webber calling it the prettiest restaurant ever! 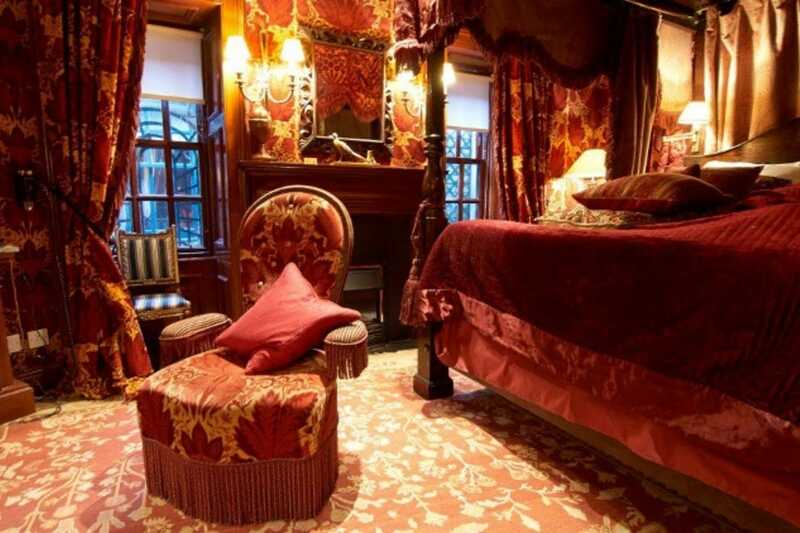 Originally built for an Edinburgh merchant in 1595, this historic building on the Royal Mile now includes the jewel-like Witchery dining room, the spectacular Secret Garden and a collection of totally indulgent and opulent suites. 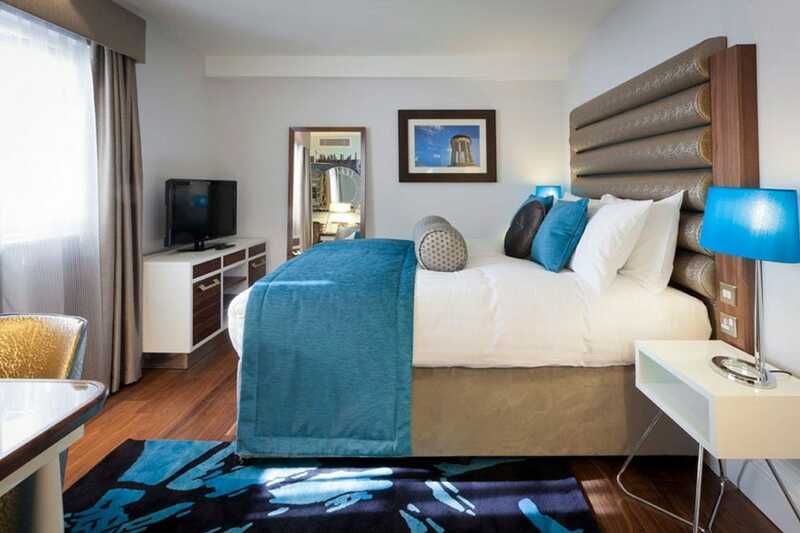 This popular boutique hotel features stunning interior design and boasts a city centre location on George Street. The restaurant and bar are very popular with locals and visitors alike. The rooms are individually styled and extremely comfortable with Egyptian cotton bed linen and en-suite wet rooms. You'll also find flat screen TVs, fully loaded iPods, a DVD library and mini-bar to keep you amused. Tigerlily also offers a number of special packages including romantic getaways, business trips or girl's nights on the town, each offering a unique experience full of little extras. 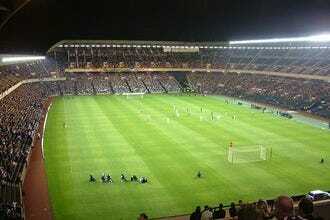 It is a perfect base for exploring Edinburgh and an interesting and lively location in its own right. 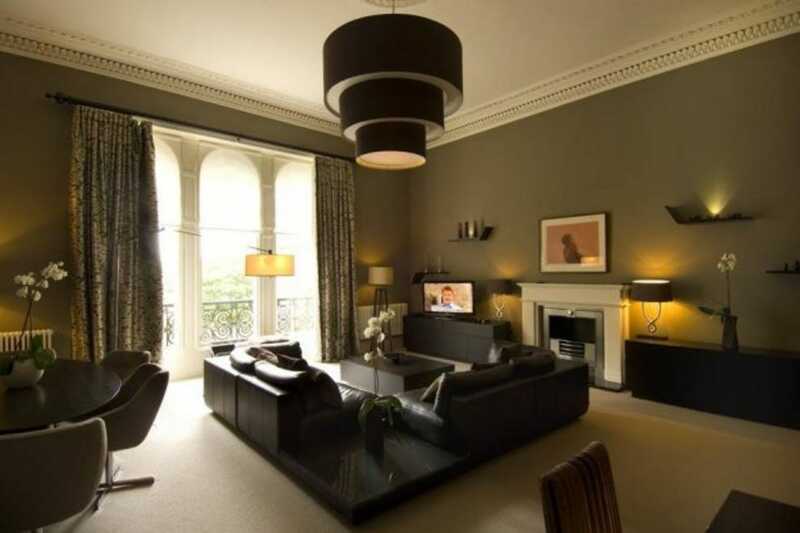 Prestonfield Hotel is one of Edinburgh's most luxurious boutique hotels. This beautiful seventeenth century manor house comprises twenty three rooms and suites, each furnished with sumptuous fabrics and beautiful antiques. The hotel also features a series of beautifully decorated public rooms and a collection of sumptuous private dining rooms, including a wonderfully romantic turret room where two can dine alone. The hotel restaurant, Rhubarb, has won many awards for its lavish banquets and exquisitely prepared local produce. The Dutch gardens are beautifully maintained and embellished with fine sculptures and fountains. 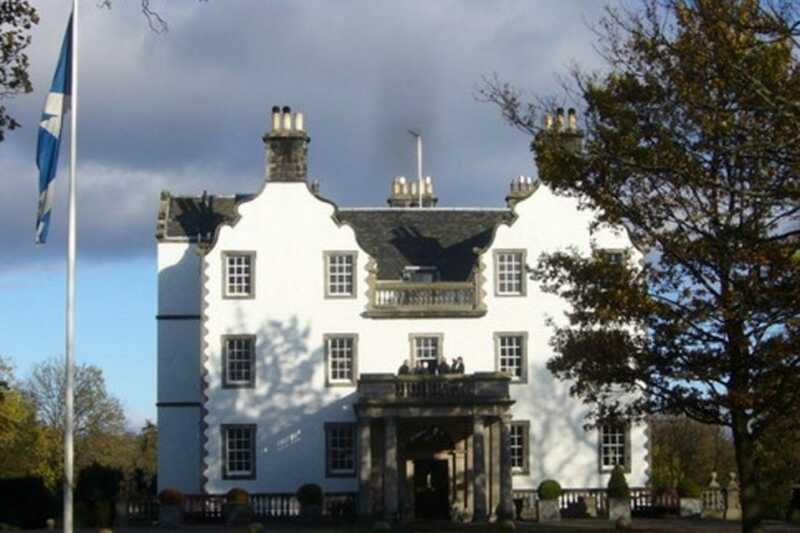 This wonderfully romantic hotel nestles beneath Arthur's Seat, close to the center of Edinburgh.